Hi!!! I decided to take a bit of a blogging break last week, but I’m back now to with another review! Kuramoto is the newest, and well appreciated, addition to the increasingly stale Thumb Plaza food scene. Thumb plaza already had two, very sub par, Japanese restaurants as well as a sushi express (also terrible). I was skeptical at first…. BUT… my dad and I needed someplace to eat and (more importantly) I was craving grilled fish. Time to eat!!! Normally, with only the two of us, our choices are limited. However, at Kuramoto, the appetizer portions are literally sample sized, so we actually got a good variety. Anyways, onto the food! Monkfish Liver- Monkfish liver is a nice treat, but flavor and quality are inconsistent at best. Kuramoto’s version, four bite sized cuts in a soysauce, rice vinegar marinade, didn’t disappoint. First and foremost, the liver itself was fresh and rich, but not oily. The black rice vinegar also added a distinct fragrance. My only complaint was that it was a bit too salty, some more acid, either vinegar or citrus, would have really balanced the dish out. 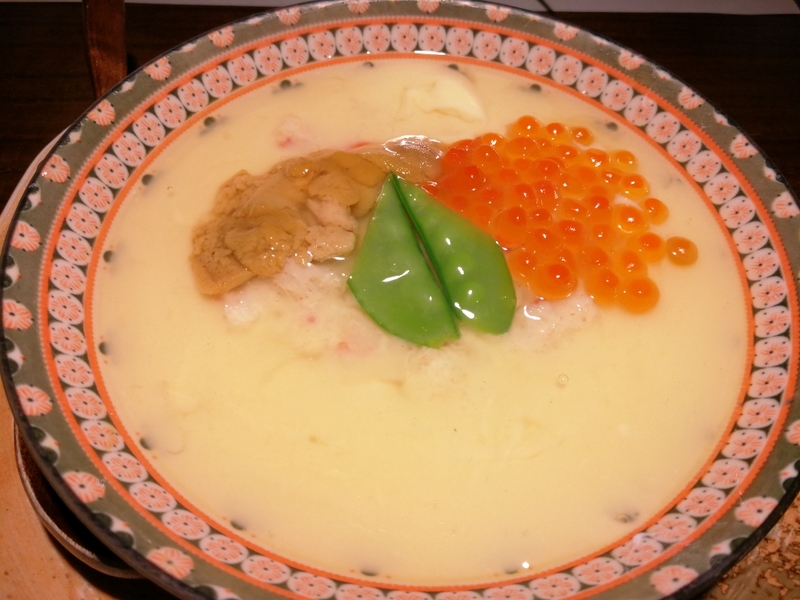 Natto- Natto, fermented soybeans, is an acquired taste. 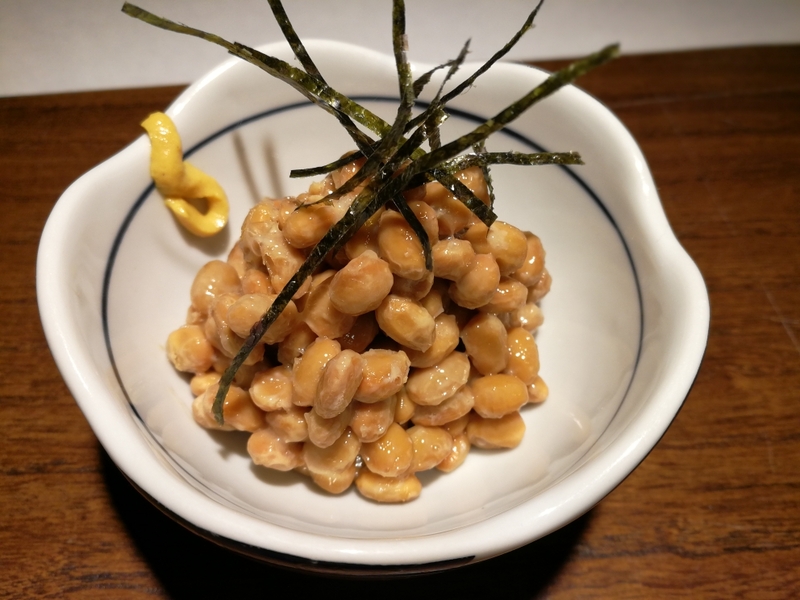 While the idea of eating slimy, moldy soybeans seems repulsive, natto actually has a subtle nutty fragrance and incredible richness. Also, it’s AMAZING for digestion as well as chock full of Vitamin K. If you don’t like it, I obviously wouldn’t order this. However, if you haven’t tried it, I highly recommended trying it. Plus, since the dish is so small, what’s the risk? 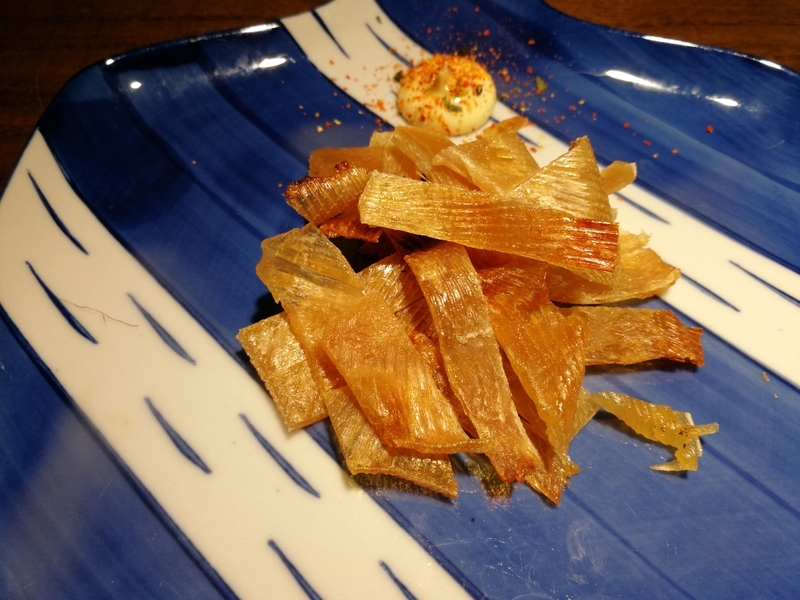 Grilled Fish Fin- This dish seems (and looks) strange, but it’s the perfect appetizer or snack. The pieces, cut into bitesized strips, have the texture of jerky, but the natural sweet umami of shellfish. I highly recommend this dish. Note: although it is technically an appetizer, the dish is at the back of the menu with the grilled items. 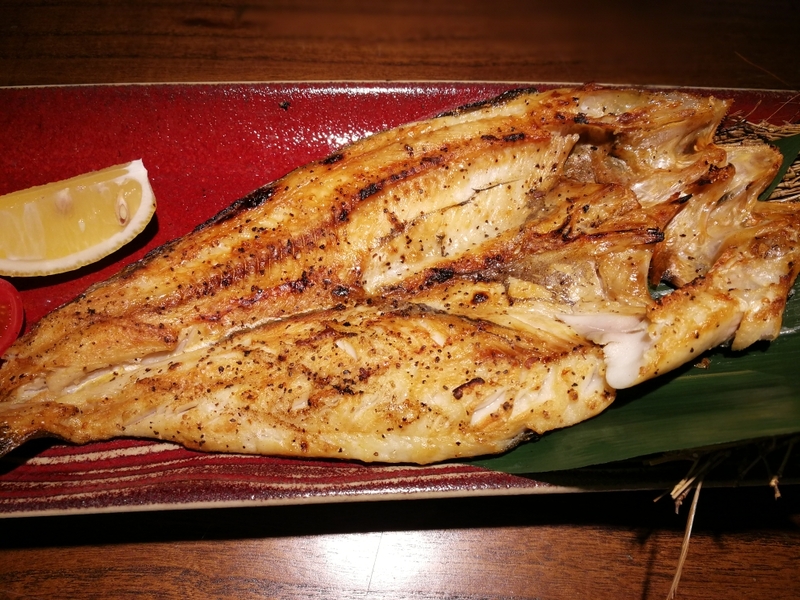 Grilled Hokkaido Fish- No Japanese meal is complete without grilled fish. 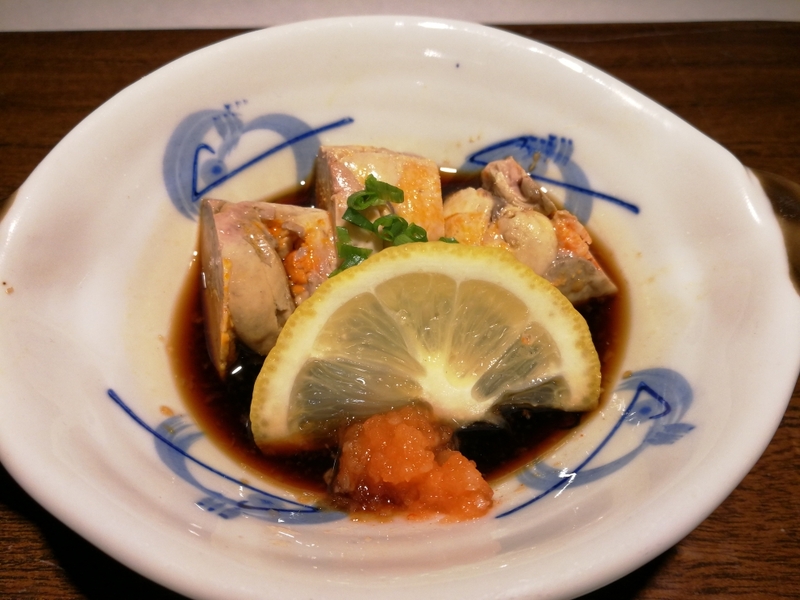 Kuramoto actually has a pretty nice selection including mackerel, Tuna chin, even Grilled Hair tail (ribbon fish). Although I was tempted to get the …. Salmon head… a hulking salmon head would seriously compromise food variety (and digestion), so I settled for the hokkaido fish (scad). Overall, the fish was good, but nothing special. 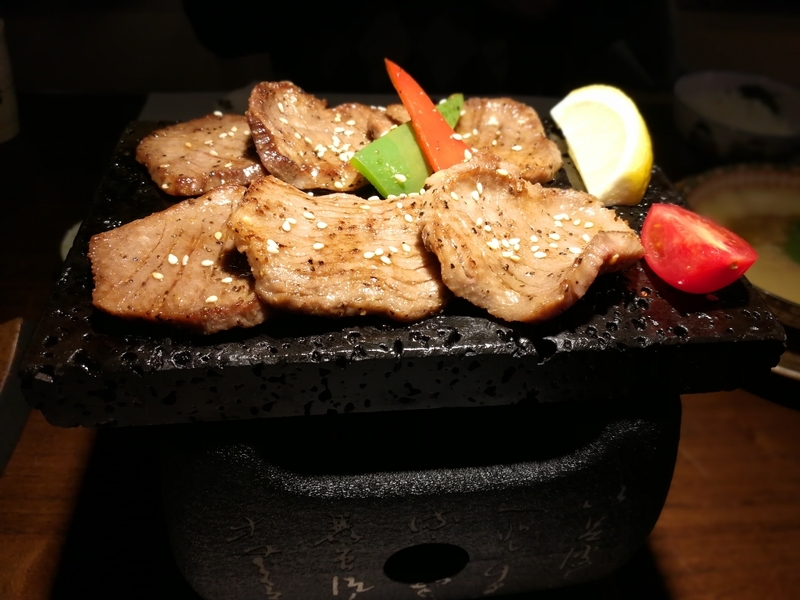 Grilled Beef Tongue- As usual, my dad needs meat…. grilled beef tongue. I didn’t even plan to mention this cliche order, but we got a bit of a surprise. The tongue was presented thinly sliced and half cooked on a stone furnace. While the taste itself was nothing new, the thin slices gave the tongue more bite, which I personally liked. While the flavor was good, the presentation really blew me away. This really set it apart from the other places. Honestly, the presentation made the food itself better and really elevated the entire quality of the restaurant. Both the service and atmosphere were pretty good. 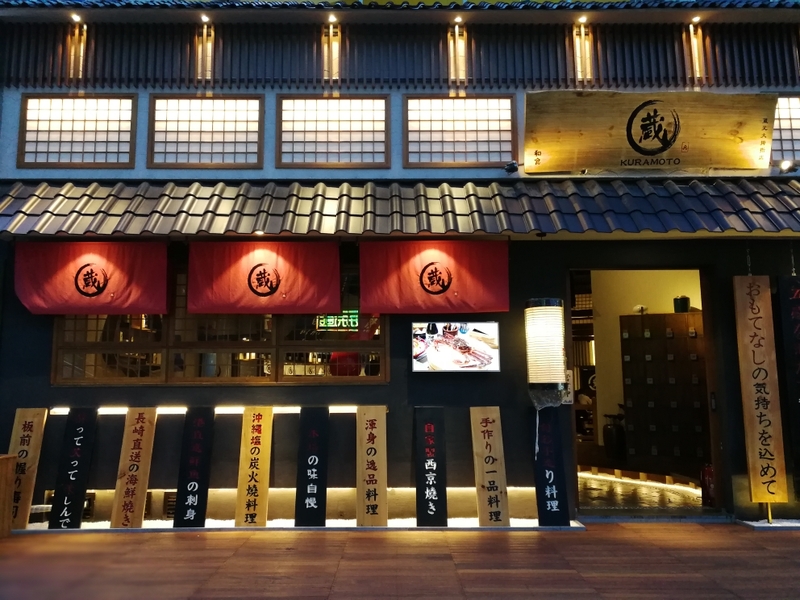 Kuramoto has the air of a relatively upscale traditional Japanese joint. 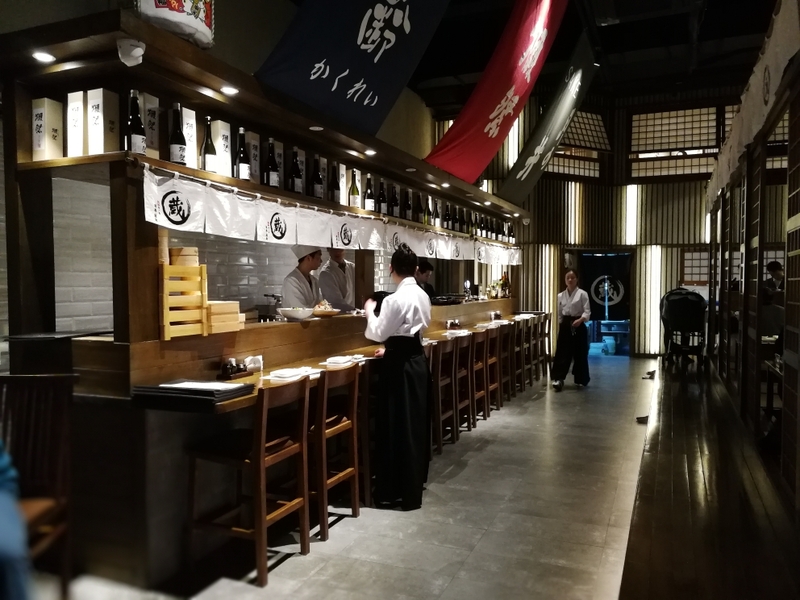 It’s divided into a sushi/sake bar and a general dining area with tatamis. The decour is typical Japanese beauty and elegance- simple but elegant- and the lighting really accentuated the food. 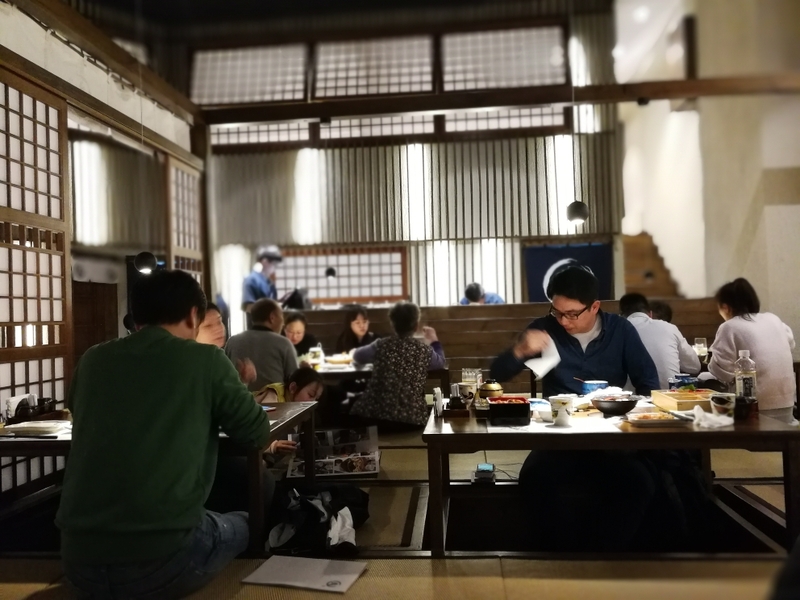 Kuramoto is also great for all occasions with it’s sake bar for singles to 8 people tatami seats. However, there were quite a few parties with unruly young children, so probably not the best for business dinner or intimate date. The service was also good, but not stellar. The wait staff were very courteous and unintrusive. However, the restaurant seemed understaffed and we were often ignored. Despite that, our food arrived quite quickly and we never had to suffer the awkward wait between dishes. 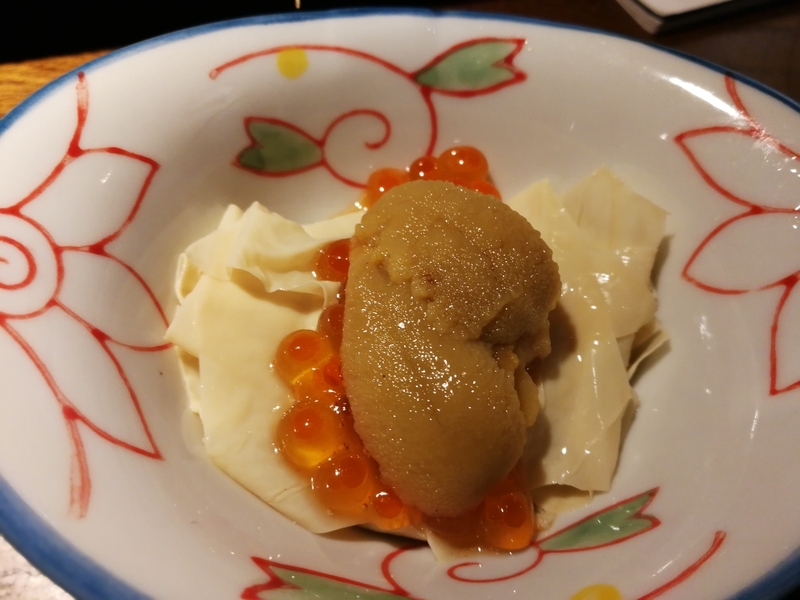 Overall, Kuramoto is a solid restaurant I definitely recommend for all occasions. I look forward to going back and trying some of their sushi and sashimi! Well, that’s it for this food adventure. I hope everyone has a great week. Until next time, bye!